Nicole is a senior associate in Dentons Rodyk’s Corporate practice group. Nicole’s main areas of practice include competition and anti-trust law, corporate law and mergers and acquisitions. As part of the firm’s Competition and Antitrust practice, Nicole has been involved in international and local cartel investigations, leniency applications, dawn raids and other investigation processes, advised on competition law issues arising from cross-border transactions and commercial agreements, advised and undertaken applications to obtain competition law clearance from the regulator and undertaken competition audits, compliance training and implementation of compliance processes for multinational corporations and local companies. Nicole has also been involved in a wide range of corporate commercial transactions including mergers and acquisitions, private equity investments and joint ventures. The work she has done in her general corporate practice includes corporate restructurings such as capital reduction exercises, share buyback exercises and statutory amalgamations and advising on compliance in accordance with general corporate and employment law related issues. Flipkart Private Limited: Acting as Singapore counsel for Flipkart Private Limited, India’s leading marketplace e-commerce platform, in the US$ 16 billion acquisition leading to Walmart Inc becoming Flipkart’s largest shareholder. This deal won The Asia Legal Awards 2019 for TMT Deal of the Year, Asian Legal Business India Law Awards 2019 for M&A Deal of the Year (Premium), India Business Law Journal 2018 for M&A Deal of the Year and FinanceAsia Achievement Awards 2018 for Deal of the Year for Asia, Best M&A Deal in Asia and Best India Deal. Far East Hospitality Management (S) Pte. Ltd.: Acting for Far East Hospitality Management (S) Pte. 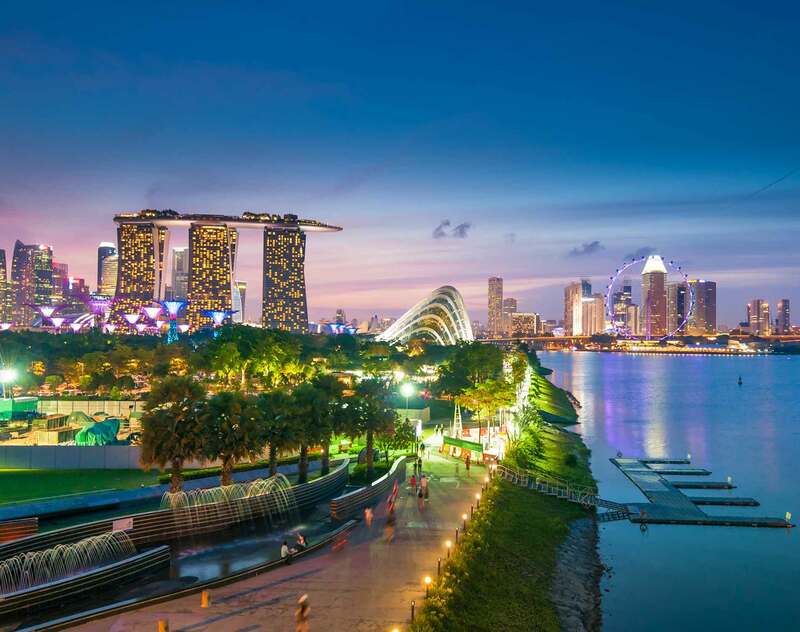 Ltd. and two hotels under its management, in Competition and Consumer Commission of Singapore’s investigation into the hotel industry for the exchange of price-related commercially sensitive information. Consortium of poultry producers in Singapore: Acting for a consortium of poultry producers in Singapore in obtaining clearance from the Competition and Consumer Commission of Singapore in respect of the formation of a slaughterhouse joint venture. The ground-breaking joint venture which was approved by the regulator resulted in five parties combining their slaughtering capabilities and capacities to establish a centralised slaughterhouse in Singapore. Panasonic Corporation: Acting for Panasonic Corporation in its leniency application to the Competition and Consumer Commission of Singapore as part of the conglomerate’s multi-jurisdictional leniency strategy. This resulted in Panasonic Corporation receiving full immunity in Singapore. “K” Line Logistics Ltd and “K” Line Logistics (Singapore) Pte. Ltd.: Acting for “K” Line Logistics Ltd and “K” Line Logistics (Singapore) Pte. Ltd. in an investigation conducted by the Competition and Consumer Commission of Singapore in relation to an international cartel involving the provision of air freight forwarding services. Minebea Co., Ltd and NMB Singapore Limited: Acting for Minebea Co., Ltd and NMB Singapore Limited in an investigation conducted by the Competition and Consumer Commission of Singapore into their alleged participation in an international cartel involving small-sized ball bearings industry, which was successfully defended. Citynet Infrastructure Management Pte Ltd (as Trustee-Manager of the Netlink Trust): Acting for Citynet Infrastructure Management Pte Ltd (as Trustee-Manager of the Netlink Trust), in the clearance with the Infocomm Development Authority pursuant to the Telecommunications Act (Cap. 323) and the Code of Practice for Competition in the Provision of Telecommunication Services 2012 for the consolidation of an enlarged infrastructure business trust between CitySpring Infrastructure Trust, (through its Trustee-Manager, Citynet Infrastructure Management Pte Ltd), and Keppel Infrastructure Trust, (through its Trustee-Manager, Keppel Infrastructure Fund Management Pte Ltd). The enlarged trust became the largest Singapore infrastructure-focused business trust with total assets of over S$4 billion. Sumitomo Chemical Asia Pte Ltd: Acting for Sumitomo Chemical Asia Pte Ltd in its corporate restructuring, employee transfers and tax-related issues arising from the corporate restructuring. Panasonic Healthcare Holdings Co., Ltd.: Acting as Singapore counsel for Panasonic Healthcare Holdings Co., Ltd. in its acquisition of Bayer Aktiengesellschaft’s diabetes care business. The total consideration for the multi-jurisdictional acquisition was EUR 1 billion and resulted in the acquired diabetes care business operating as stand-alone company, Ascensia Diabetes Care. Archer Daniels Midland Co.: Acting as Singapore counsel for Archer Daniels Midland Co. (ADM) in the divestment of its global cocoa business to Olam International Limited (Olam). The multi-jurisdictional sale encompassed ADM's entire global cocoa business, including processing facilities in Mississauga, Canada; Koog aan de Zaan and Wormer, Netherlands; Mannheim, Germany; Ilhéus, Brazil; Abidjan, Côte d'Ivoire; Kumasi, Ghana; and Singapore. The transaction also included the sale of ADM's buying stations in Brazil, Cameroon, Côte d'Ivoire, and Indonesia, the ADM's brands, deZaan and UNICAO and the transfer of the majority of the approximately 1,550 employees in ADM's cocoa business, to Olam for US$1.2 billion. Archer Daniels Midland Co.: Acting as Singapore counsel for Archer Daniels Midland Co. (ADM) in the sale of its global chocolate business to Cargill Inc. (Cargill). The multi-jurisdictional sale involving the transfer of ADM's North American, European, Brazilian and Asian plants, ADM's brands such as Ambrosia, Merckens and Schokinag and the transfer of approximately 670 employees from ADM to Cargill, was valued at US$ 400 million (subject to post-completion adjustments). Co-author, “Extensive amendments to the Employment Act in the pipeline,” Dentons Rodyk Reporter, Issue 5, 2018, October 2018. Co-author, "Singapore: Overview Of The Law And Enforcement Regime Relating To Cartels,” Global Legal Insights - Cartels 4th Edition, February 2016.